Posts on our bed and breakfast accommodation blog about North Shields, Royal Quays, Billy Mill and New York in North Tyneside, NE29. If you are staying at our bed and breakfast accommodation and plan on using the Shields Ferry to travel between South Shields and North Shields the latest ferry timetable is out. Our bed and breakfast accommodation has welcomed 100’s of guests who joined or departed cruises at Port of Tyne and we look forward to doing so again in 2017. 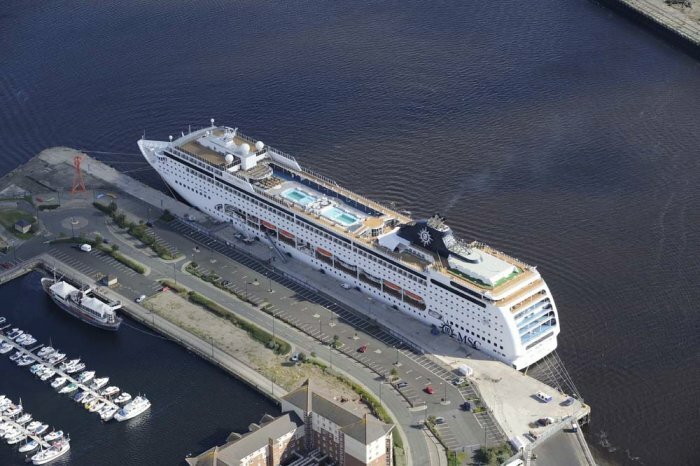 The 2017 cruise schedule at Port of Tyne begins next week. If you are looking for bed and breakfast accommodation near Port of Tyne our bed and breakfast price and availability can be found here: book online. 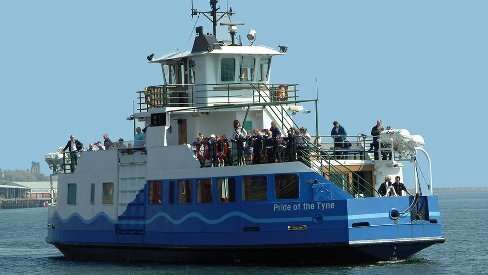 If you are staying at our bed and breakfast accommodation and plan on using the Shields Ferry to travel between South Shields and North Shields there has been a slight change in ticket prices. The standard single fare for customers who don’t have a pre-paid Pop Card is the same as it was in 2016 – £1.50. Under 16 child fares are 60p. A child DaySaver ticket is £1.10. Children under 5 years travel free. If you plan on using the Shields Ferry regularly eg to commute to a training course at Maersk Newcastle, AIS Training or going to work at Tyne Tunnel Trading Estate like many of our guests then we recommend you purchase a pre-paid Pop Card – a standard single adult ticket cost 20p less (£1.20) and a DaySaver costs 30p less (£2.50). The standard adult DaySaver (all day) ticket costs £2.80 from 2nd January 2017. For longer staying guests (and anyone else!) commuting to North Shields adult weekly and four-weekly FerrySavers costs £10.30 and £36.00 respectively. If you are interested in obtaining a Pop Card these can be bought online (opens in a new window) for £3.50. Pop Cards can be used on almost all buses, Tyne and Wear Metro and Shields Ferry.